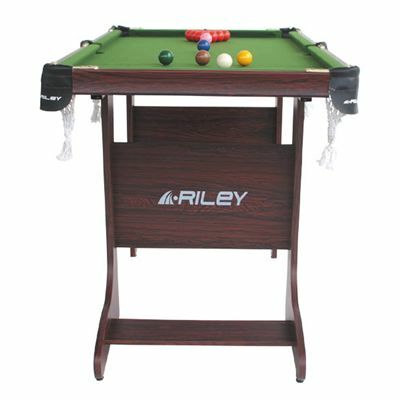 The BCE 4' 6" Folding Snooker Table is ideal for anyone who loves the game of snooker, but doesn't have unlimited space. 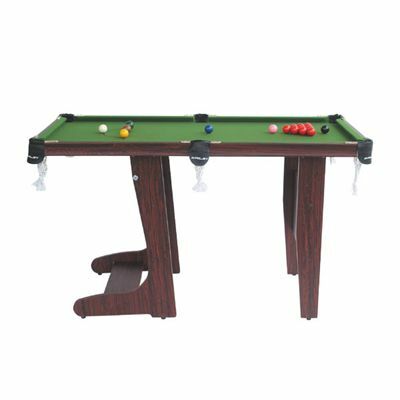 The unique folding design ensures complete table stability, but a compact and unobtrusive table when not in use. The transport wheels even allow you to easily move it after use. Complete with everything needed to get set up and get playing right away. 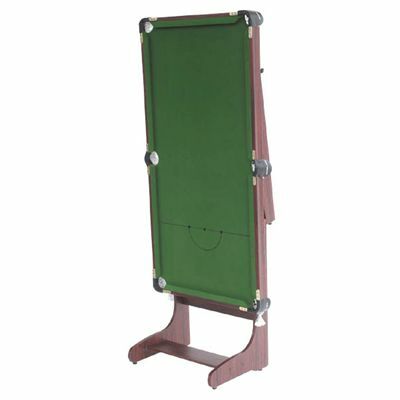 Plus with the free set of yellow pool balls, you now get the option to play either! All this for an incredible offer price delivered direct to your door. for submitting product review about BCE 4ft 6 Folding Snooker Table + Pool Balls.